This shirt is made from premium durable cotton. 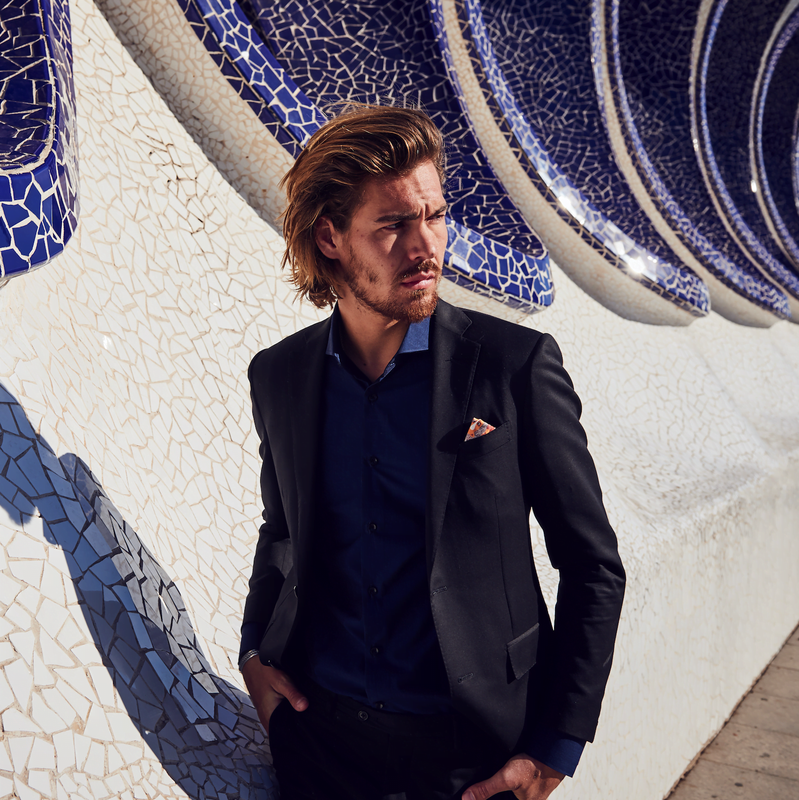 The precise slim-fit and the exceptional cutaway collar set this shirt apart from others. This shirt is fitted with a double cuff adjustable to your preference. Due to the medium down cut the shirts can both be worn casual or formal. Those that just can’t leave home without wearing a proper shirt inspire the PITEÅ collection. With respect to this PITEÅ shirt carefully woven with a two colored thread fabric. This double colored weave with dark blue and black threads create a luxurious cool and silky look. This is the perfect shirt to wear on special occasions such as a dinner party or a special night out.